The Illinois Rural Health Association was organizaed in 1989 and is comprised of individual, organizational and student members interested in providing leadership on rural health issues. 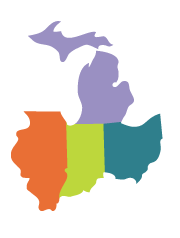 IRHA's diverse constituency includes individuals concerned with rural health, health care providers and administrators from both private and public settings, state and local government leaders, researchers, educators, consumer groups, consultants, insurance and employer representatives. IRHA maintains strong relationships with the Illinois Department of Public Health Center for Rural Health and other state, public and private associations that advocate for improved rural health. IRHA also is a member of the National Rural Association State Association Council. Advocate for the health interests of rural residents in public and private policy issues. Foster public and private partnerships to improve rural health. Support the work of other health interest groups in their efforts to improve rural health. Provide educational resources for rural health professionals and students. Enhance public awareness of rural health issues. Provide networking opportunities for people interested in rural health. Strengthen the capacity of the organization to support its mission.